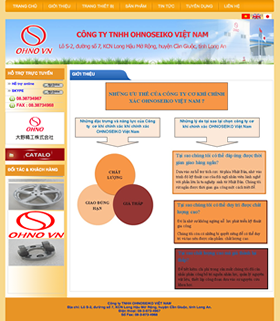 In order to meet the diverse needs of our customers, we launched the bases in Vietnam Ohno Seiko. Due to the synergistic effect of the production site in Japan, and has established a strong production base. Rather than as a base for labor-intensive, to become a cornerstone of internationalization of Japanese manufacturing technology and tradition, we are training the leaders of a number of techniques in the Vietnam Ohno Seiko.